Along the Rocky Mountain range, there has been a dearth of snow cover, insect stress in the forests, and a hot spring that has turned into a hot summer. 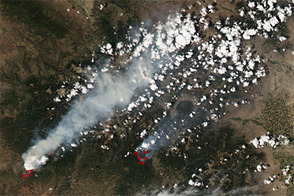 The result by late June 2012 was a surplus of smoke from many dangerous fires raging across the western United States. 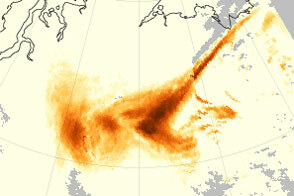 The map above depicts the relative concentration of aerosols in the skies above the continental United States on June 26, 2012. The map was assembled from data acquired by the Ozone Mapper Profiler Suite (OMPS) on the new Suomi National Polar-orbiting Partnership (S-NPP) satellite. Aerosol are tiny solid and liquid particles that have an outsized impact on weather and climate. Their concentrations are represented above in shades of red and yellow, with the highest concentrations in deep red and the lowest in light yellow. 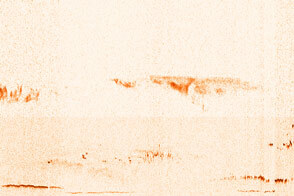 Grays represent clouds or areas where no reliable data were available. In addition to measuring ozone levels in the atmosphere, OMPS can track aerosols (such as smoke particles) as they are lofted and transported by winds. The instrument measures the light scattered and reflected by the atmosphere. Specifically, it observes the difference between the amount of ultraviolet (UV) light the smoke- and dust-filled atmosphere scatters back to the satellite compared to the amount of UV the atmosphere would scatter back if skies were clear. In the image, the aerosol signal is strong to the north and east of the North Schell, Dump, and Wood Hollow fires in Nevada and Utah. 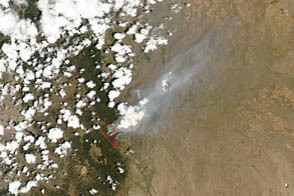 Thick smoke plumes from wildfires across Colorado moved east and south into the plains states. Further south in Texas, New Mexico, and Mexico, it is unclear if the aerosols were blown in from distant fires, if there is local burning, or if they are dust storms, which are also a result of hot, dry, and windy weather. The researchers who write “The Smog Blog”—hosted by the University of Maryland–Baltimore County—noted that much of the smoke in the midsection of the country is likely due to fires. 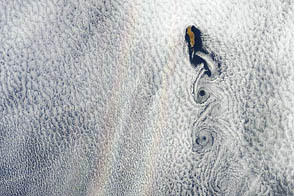 Their reading of various instruments suggest that the aerosols lingering in the atmosphere are finer and smaller than the usual signature for dust. 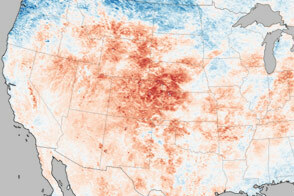 Earlier in the week, they noted, western fires were affecting air quality as far away as the U.S. East Coast. NASA image by Jesse Allen, using OMPS data provided courtesy of Colin Seftor (SSAI). Caption by Michael Carlowicz. Numerous raging wildfires and possible dust events spread a pall of smoke over much of the western and midwestern United States. Dan’s Wild Wild Science Journal (2012, June 27) All Time Records Tumble in Rockies and Plains; Fires Threaten NCAR. American Geophysical Union. Accessed June 27, 2012. InciWeb Incident Information System. Accessed June 27, 2012. 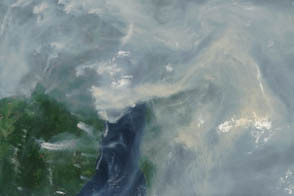 NASA (2012, June 11) Satellite Sees Smoke from Siberian Fires Reach the U.S. Coast. Accessed June 27, 2012. 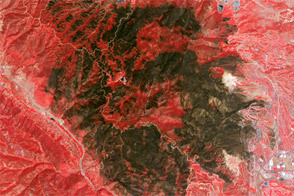 NASA Earth Observatory (2012, June 25) Wildfires Across Colorado. University of Maryland–Baltimore County (n.d.) The Smog Blog. Accessed June 27, 2012.